Axel Bethke is a Germany national who is in his 5th appointment with Kempinski. 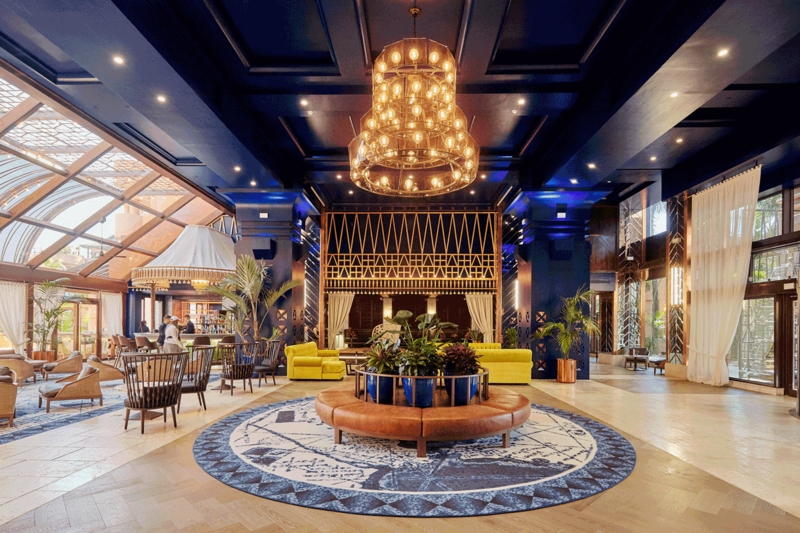 Following a more than 20-year long career with brands such as Capella Hotels, Ritz Carlton and Kempinski in cities such as Munich, Beijing, Amman and Chengdu (these last two as General Manager). Axel Bethke re-joined Kempinski in August 2018 after his most recent assignment as General Manager at Qasr Al Sarab Desert Resort by Anantara in Abu Dhabi, United Arab Emirates. 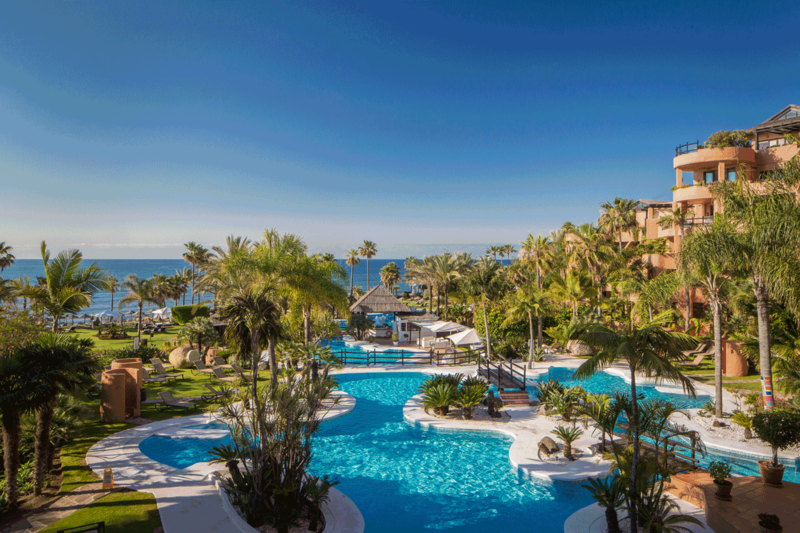 Kempinski Hotel Bahía enjoys a privileged position by the beach with views of the sea, Marbella Bay and the coast of Africa and Gibraltar. It is surrounded by luscious subtropical gardens, has 128 spacious rooms and 17 luxury suites, a newly renovated spa on nearly 1,000 sq m and several conference rooms. The restaurants offer guests a wide range of Spanish and Mediterranean cuisine. 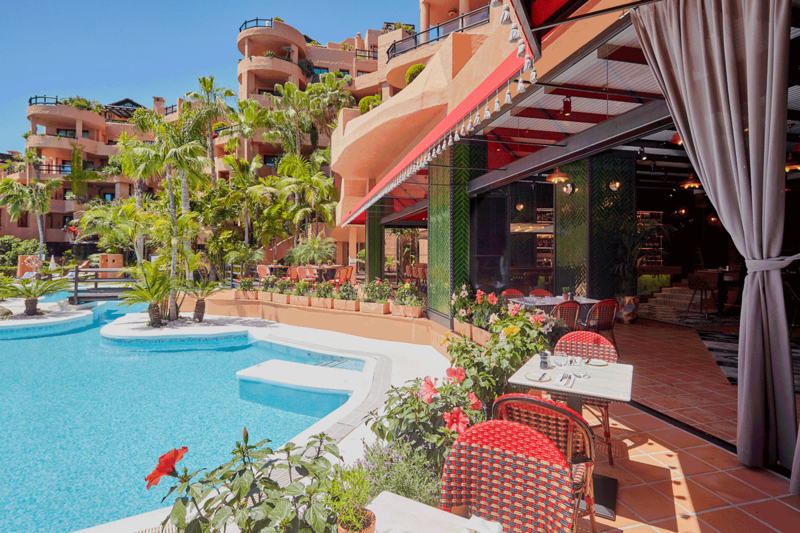 The hotel has the privilege of having one of the most reputed architects on the Costa del Sol as its designer: Mr Melvin Villarroel. His exquisite taste is revealed through his design of the building as well as in the gardens, which have helped the hotel win several awards, including the “Best Architecture” award, the “Best Holiday Resort” award and the “Best Garden” award. A historical highlight is the old Almenara Tower where guests can enjoy a romantic private dinner or an exclusive massage. Offering internationally famous foot treatments by Bastien Gonzalez’ – often referred to as The True Pedicure. The Kempinski Hotel Bahía is ideally located less than five minutes’ drive from Estepona, and just a short drive to Puerto Banús and Marbella. 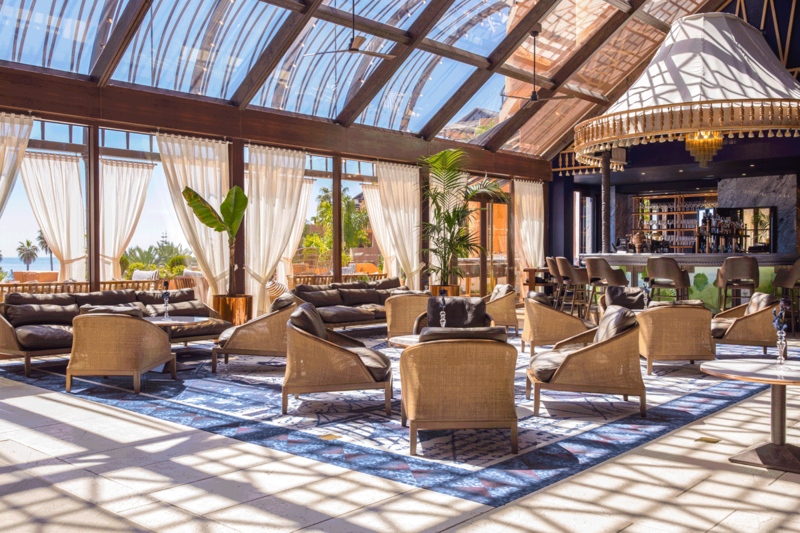 The hotel is located within two hours of most Andalusian cities, and is just a short ferry ride away from Tangier, Morocco. 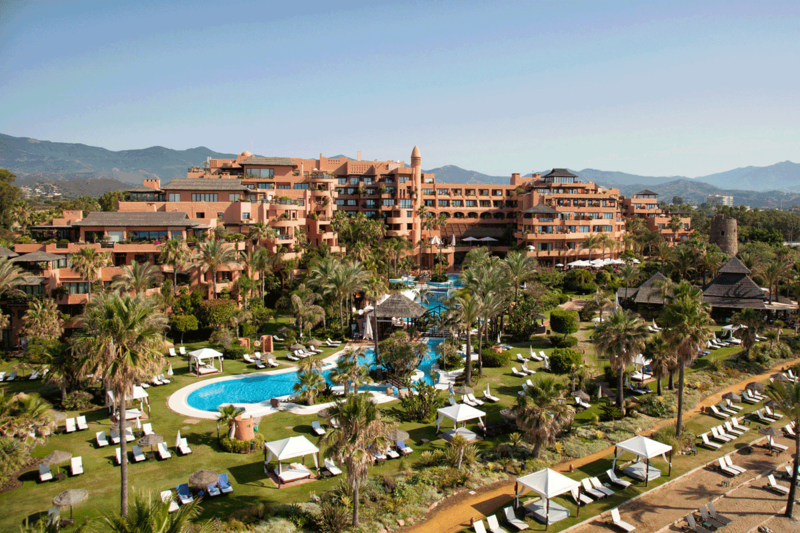 The Kempinski Hotel Bahía can be easily reached by car, taxi or public transport and is located 50 minutes (80 km) from Malaga’s International Airport and 50 minutes (50 km) from Gibraltar International Airport. A team of professional entertainers will care of your children’s well-being at all times. Most of the activities take place in the outdoors. The children will be in direct contact with nature when visiting the vegetable garden and the beach and will become environmentally conscious. Children can enjoy menus that have been specially selected for them either at lunch or dinner. Up to 45 s qm (484 sq ft), marble bathroom, separate shower booth and bath tub, all terrace and outdoor furniture. Up to 45 sq m (484 sq ft), marble bathroom with separate shower booth and bath tub, sea facing, seating area on the terrace for a unique views of Marbella Bay or the African coastline including the Rock of Gibraltar. Up to 45 sq m (484 sq ft). Marble bathroom, separate shower booth and bathtub. The most luxurious of all the rooms we offer. 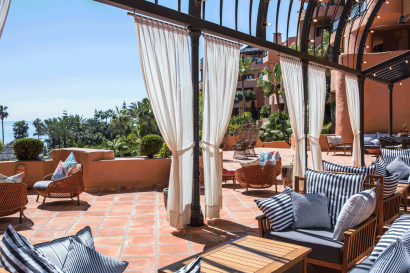 Benefitting from a privileged location within the hotel, Premier Plus Rooms provide an unparalleled view of the entire Marbella Bay and Moroccan coast. Over 100 sq m (1076 sq ft), walk-in closet separate from the living and dining area, area for work space facilities, marble bathroom, separate shower booth and bath tub, all terraces with outdoor furniture. The Imperial Suite combines our Presidential Suite with the Royal Suite, along with an additional Premier Room – the result is the height of luxury with three bedrooms and over 600 square meters of space. Light, fresh, stylishly elegant yet laid-back and playful is what Spíler Beach Club, a new coastal experience at the beach, stands for. Here chefs make use of the freshest ingredients from earth and ocean, from the coasts of the Mediterranean Sea and the fields of Andalucia, and occasionally peek into the mystic cuisine of Morocco. They are proud to be supplied by the best farmers and fishermen to present a true feast of seafood, crustaceans, great cuts of meat, fresh fruits and vegetables. The day at Spíler Beach Club starts with a sumptuous breakfast on the beach facing the Mediterranean Sea, followed by simple but tasty lunch offerings. In the evening, after a day on the beach, guests may dress to impress for sunset and spend a perfect romantic night or a fabulous dinner with family and friends. Breakfast buffet, featuring more than 100 items, including home-made and locally produced items, with views of the Mediterranean Sea. 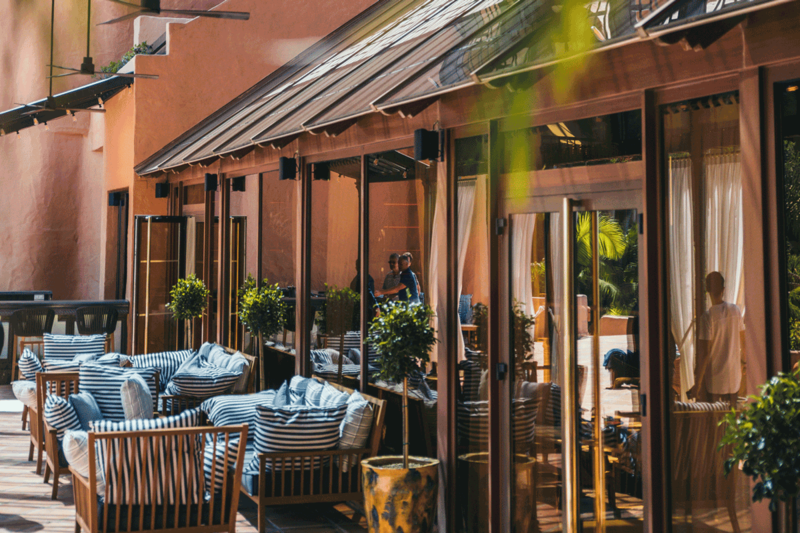 Step into a world of luxury and pampering, lie by the pool listening to the summer’s coolest DJ sounds whilst sipping on cocktails. Reserve one of the chill-out beds, perfect for that summers day party with your friends or loved one. 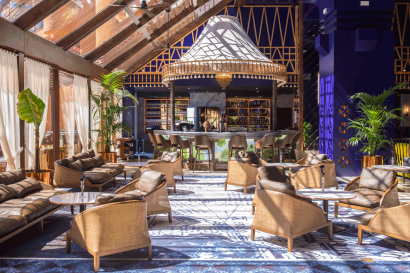 Baltazár Bar & Grill represents an urbanised traditional bodega with fantastic views of the lush gardens and pools of the hotel. 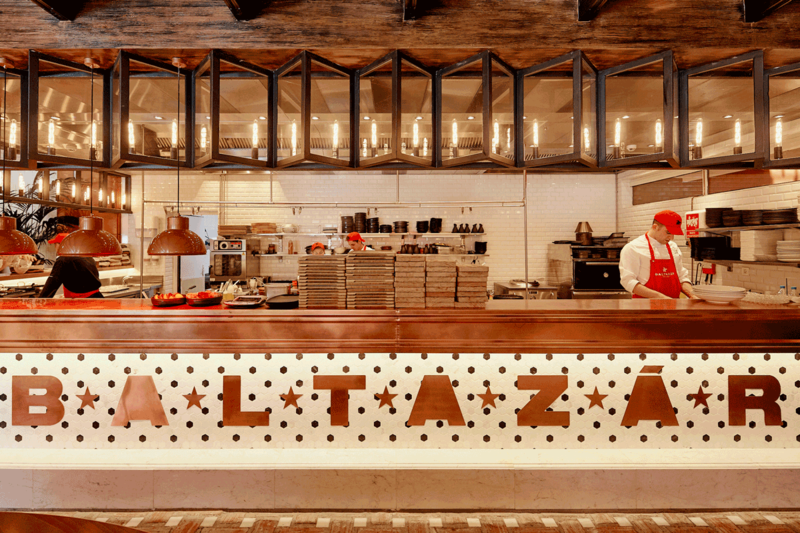 By using only honest and natural Spanish products, the chefs at Baltazár apply various local and international cooking techniques to give dishes that unique taste. 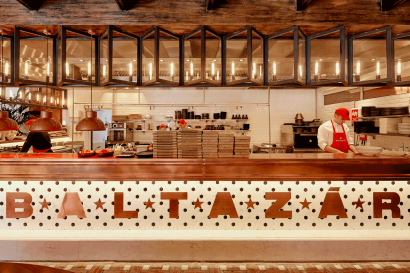 Spanish classics Baltazár Bar & Grill represents an urbanised traditional bodega with fantastic views of the lush, but also grilled meats and fresh fish, are prepared on one of the four different grills. 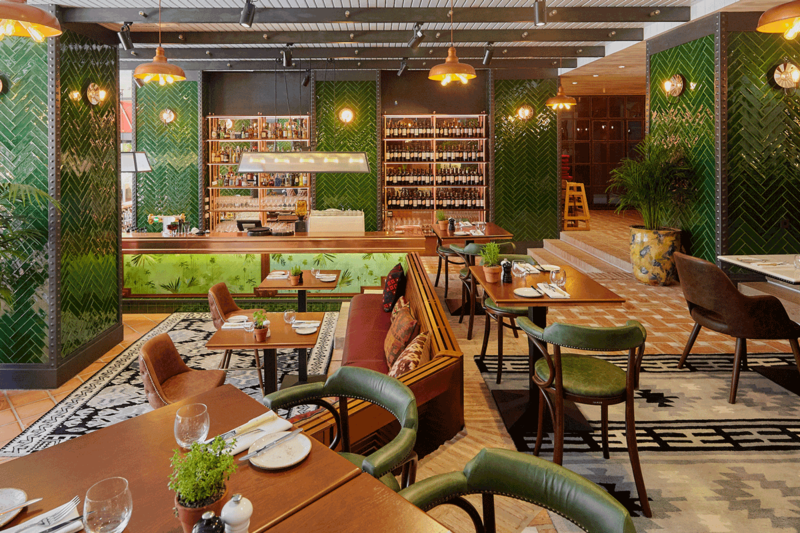 This restaurant offers a gastronomical experience for business lunches or family dinners alike. By the beautiful and newly renovated lobby and terrace of the hotel, guests will find Black Rose, The Bar, which celebrates the spirit and soul of today’s traveller and offers some of the best cocktail creations on the coast. 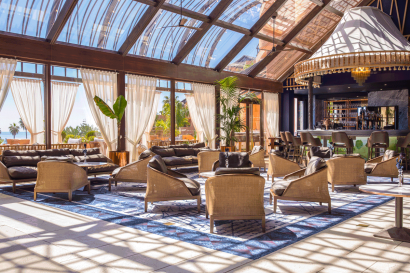 Fine wines, local craft beers and, of course, bubbles to celebrate life go very well with the stunning views of the Mediterranean Sea and African Coast. The bar Black Rose is named after a pirate ship, paying homage to the glorious years of Spanish voyages of discovery. Enjoy a variety of authentic massage rituals and beauty treatments at the Kempinski Spa, featuring renowned products lines including Niance and Thémaé. The recently renovated sauna and relax area includes a spacious Finnish sauna and luxurious steam room. The new Fitness Club is filled with the latest equipment, perfect for any daily exercise routine. The Fitness Club is accessible 24 hours for hotel guests. 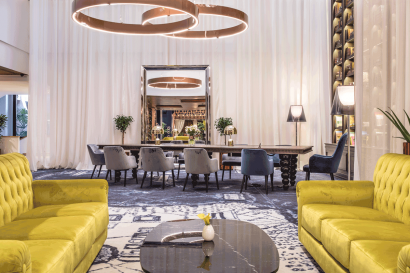 Each of the seven meeting rooms feature natural light and modern technologies, and can be arranged in a variety of styles, including U-shaped, classroom, theatre, cocktail and banquet. For boardroom style meetings, Sirroco Meeting Room is the perfect setting. 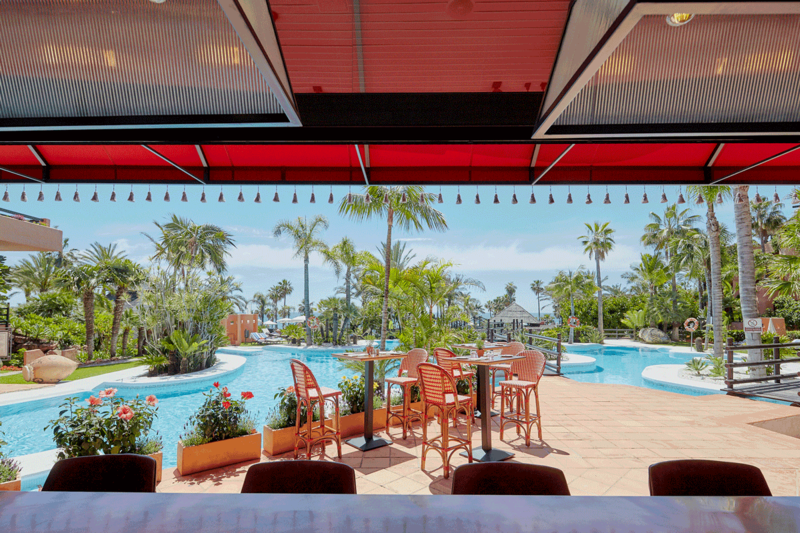 Poniente Ballroom boasts grand ceilings (5 m) and can accommodate up to 240 guests.